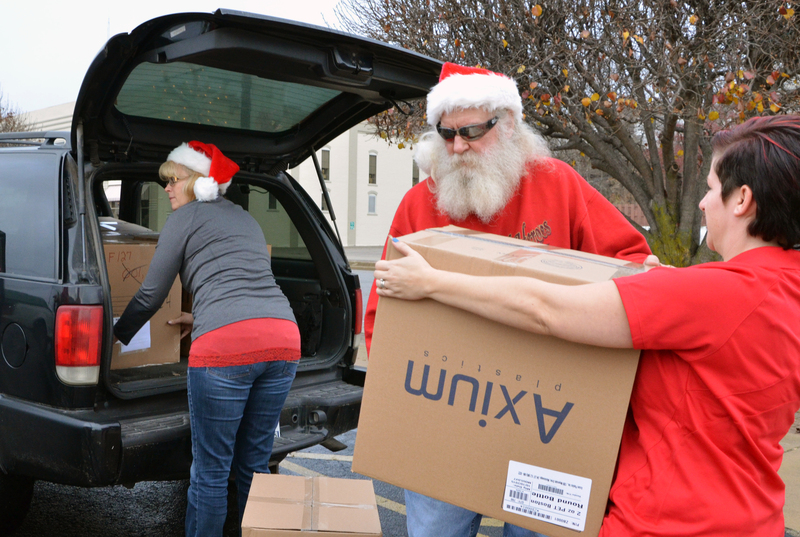 Nearly 1,200 kids were visited by the Wabash County Christmas Spirit Saturday, Dec. 12, with volunteers bearing gifts for children to open on Christmas day. The late Ombra Keffaber and her husband, John, originally founded the Christmas gift program as “Santa’s Workshop” in 1968 until the now-closed Youth Service’s Bureau took over the project in 2002 and renamed in Operation Elf. Since taking over the holiday service program Operation Elf in 2012, the Wabash County Christmas Spirit (WCCS) has continued the local tradition by filling 1,191 children’s Christmas lists this year and serving 425 families in need of aid during the holiday season. Toys ranged from Barbie dolls to footballs, hair-coloring items to clothes and donated guitars. Morgan Tucker and Max Mattern are officially engaged after an elaborate evening out at the Historic Eagles Theatre in Wabash. Mattern planned a date out with his now-fianc�e at the movies to see the film “The Plunge,” a movie – unbeknownst to Tucker – reflecting on the couple’s past six years together. Audience members were staged in the lower levels of the hall while Mattern’s and Tucker’s family were seated in the second balcony. 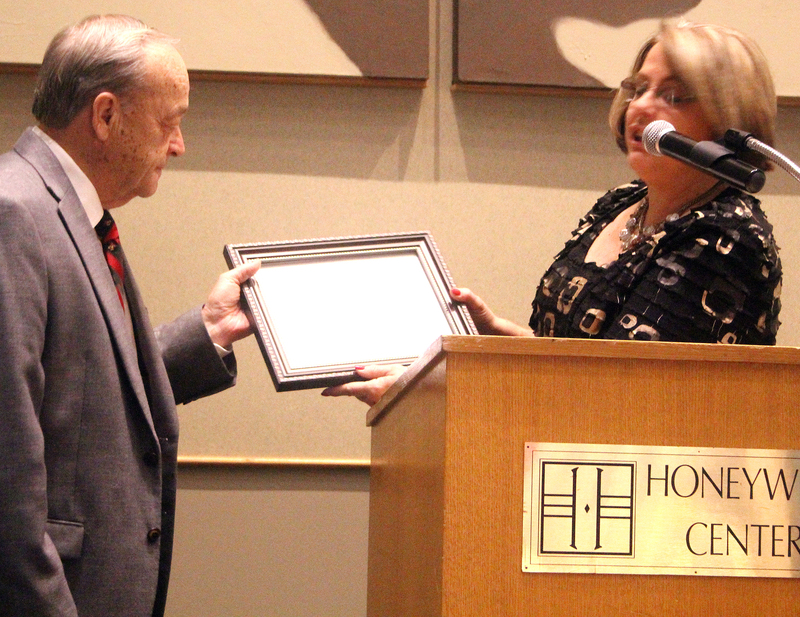 The Wabash County Chamber of Commerce honored Wabash Mayor Robert Vanlandingham during its Business Before Hours program at the Honeywell Center on Wednesday, Dec. 9. Vanlandingham, who is leaving office at the end of the year, was honored for the 12 years he served as an ex-officio member on the Chamber’s board of directors. Chamber President Kim Pinkerton presented him with a certificate for his service, as well as a membership to the Honeywell Golf Course. “It’s been a journey with the mayor,” Pinkerton said in introducing Vanlandingham. “We had a vision. We wanted good things for the community. Local 4-H members will have a chance to attend a Teens as Teachers Conference in early 2016. The program is open to youngsters around Wabash County who are in ninth through 11th grade. 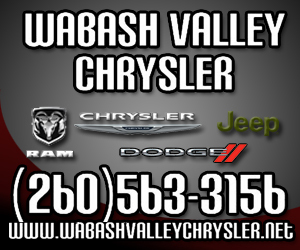 Wabash County hasn’t sent any youngsters in recent years. The Wabash County Council passed an ordinance Monday, Dec. 7, amending the county’s Rainy Day Fund’s use to collect unexpended funds and, eventually, help to finance and construct a new jail. The Wabash County Board of Commissions adopted the ordinance earlier Monday morning as part of the requirement to pass the ordinance on the County Council level, according to Mike Ridenour, council chairman. “This is something that we’ve discussed (for) several months now, (but we’re) not necessarily going to start automatically start funding this Rainy Day Fund,” Ridenour said to the council. A new program designed to “spark” interest in 4-H is now being offered in Wabash County. Spark Clubs “are just short-term, special interest clubs to spark an interest in 4-H and an interest about a given topic,” according to Angela Christopher, Extension Educator - 4-H Youth Development. Christopher said local 4-H officials first learned of the clubs during an October meeting with state 4-H officials. 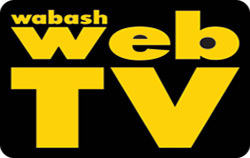 The state has since granted Wabash County permission to begin offering Spark Clubs. The Wabash County Council passed an ordinance authorizing the acquisition of a blanket bond, or crime insurance policy, fixing the minimum coverage amounts for individual county officials and employees at its Monday Dec. 7 meeting. The blanket bonds will replace individual surety bonds, a contract which insures an official during their time in office. “Prior to July 1 this year, a list of specific public elected officials had to have individual surety bonds,” county attorney representative Mark Frantz told the council. “As of July 1, now county employees whose official duties include handling money also need to be covered on their own bonds. 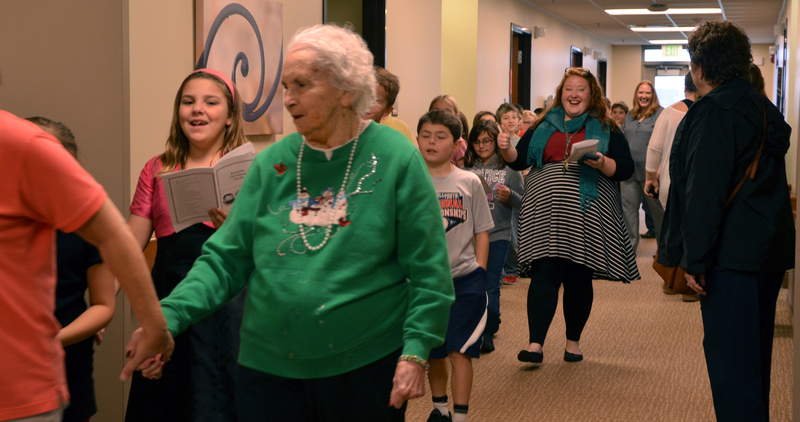 Children throughout the Wabash County community spread holiday cheer last week, beginning Sunday Dec. 6, with a variety of activities.